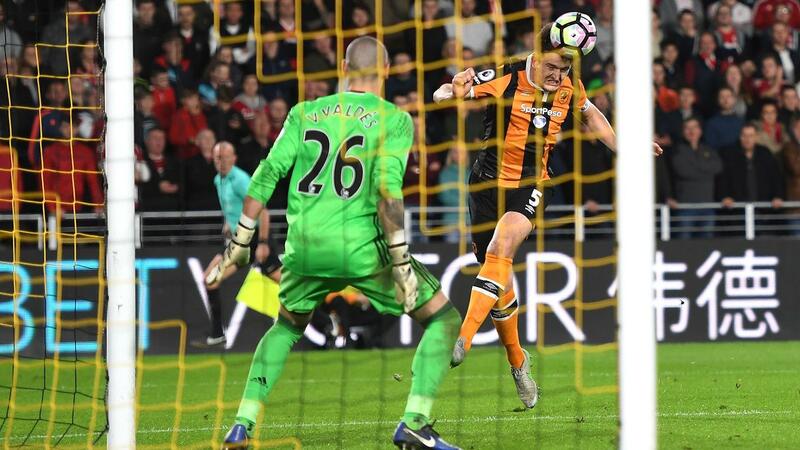 Having found the net in each of his last two Gameweek appearances, Hull City’s Harry Maguire (£4.4m) is the latest goalscoring defender to emerge in Fantasy Premier League. With a vital and promising home match against Watford up next, the Hull defender presents a strong budget option for managers in Gameweek 34. Watford have managed only two clean sheets from 15 away matches and have failed to score in six of their last eight on the road. In contrast, Hull have won five of their six home matches since head coach Marco Silva took charge, which all points to another profitable afternoon for Maguire. Since cementing a starting berth in Gameweek 15, the defender’s goal threat has been particularly impressive. He is the top-ranked FPL defender for shots (30) and shots in the box (21) since that point, and is level with Chelsea’s Marcos Alonso (£6.8m) for shots on target, with nine apiece. Having featured predominantly as a centre-back this season, Maguire was switched to right-back in last weekend’s 3-1 defeat at Stoke City. That tactical tweak only served to increase his influence, as he produced more touches in the final third (26) and penalty-area shots (three) than any team-mate. Notably, Watford rank second for chances conceded down the left wing (18) over the last four Gameweeks, indicating that Maguire’s raids forward could prove an effective weapon on Saturday. While Hull's end-of-season schedule fails to offer any Double Gameweeks it still provides some promise, as three of their final five encounters score two or less in the Fixture Difficulty Rankings (FDR). Owned by only 0.5% of FPL managers, there is a danger that Maguire’s potential will be overlooked amid the demand for Double Gameweek assets. That could be a wasted opportunity to capitalise on a bargain defensive option offering the prospect of a double-figure tally.